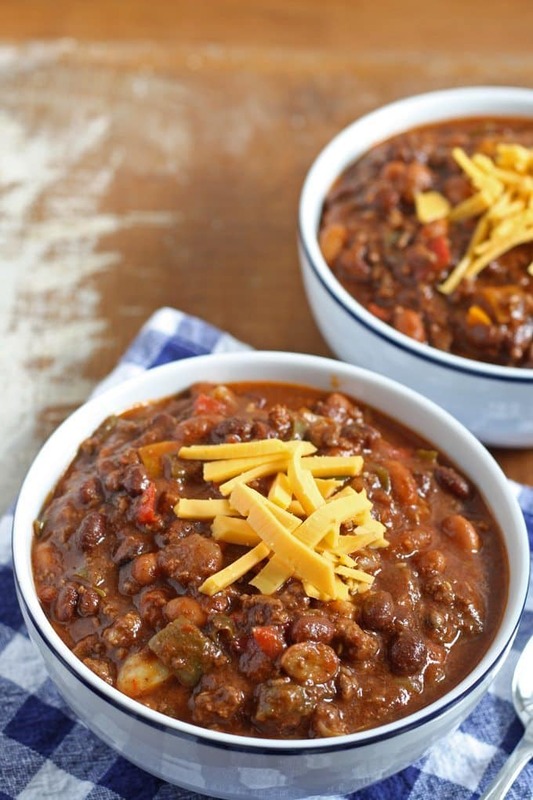 My version of a Trader Joe’s meatless recipe – Slow Cooker Ground Beef and Chorizo Chili. This last week has been crazy. After my Memorial Day BBQ (which I forgot to take pictures of – didn’t take a single picture of any of the food that I made or my handmade decorations), I started a whirlwind week at work. With the Blackhawks games and then the largest street fest of the year for the bar I work at, I have been moving non-stop. Finally, I have a few days off and I can get back to business. And by business I mean blogging. 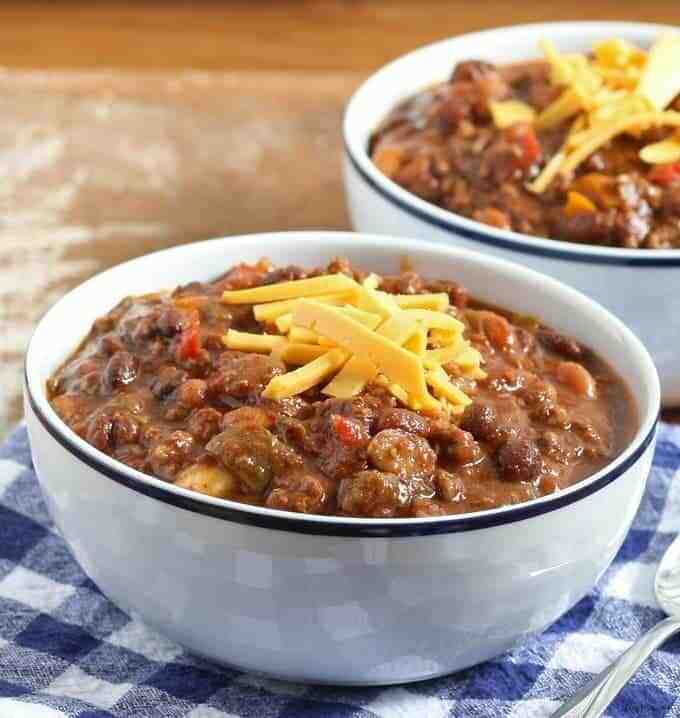 Mr. B and I decided to try a new chili recipe – I searched through what felt like a thousand recipes and found one I kind of liked on the Trader Joe’s website. What really spoke to me was the addition of soy chorizo – chorizo is not an ingredient I use often, and I’ve never used soy chorizo and it got me a little excited. The Trader Joe’s website was meatless so we fixed changed that and then made a couple of other changes to make it our own. This was one of the easiest recipes ever and the chorizo adds great flavor and texture to the chili. I imagine if I had used regular chorizo it would have been just as delicious. You can also make this on the stovetop in a dutch oven if you cook on low. It’s important to cook it for a long time so the flavors can develop. In a large skillet over medium heat, heat vegetable oil. Add the onion, peppers, jalapenos and garlic. Stir to coat all the vegetables in oil and reduce heat. Cook about 15 minutes or until the vegetables are tender. Transfer the vegetables to the crock pot. Return the skillet to medium heat and add the ground beef and chorizo. Saute until browned and add to the vegetables. Serve with optional sour cream and shredded cheese. Soup and sides go together. 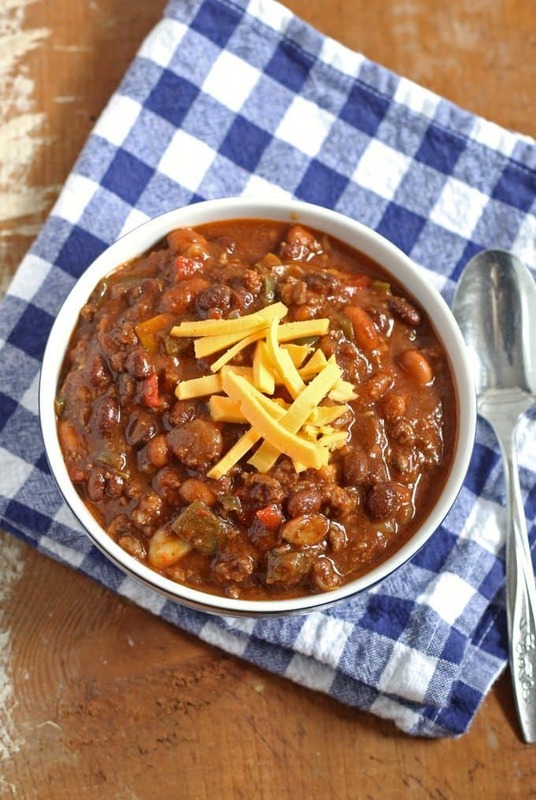 This chili looks hearty and delicious! I love that the slow cooker allows you to smell all the goodness as it simmers for hours. Me too Thao! Slow cookers are great for that! Wow, this looks GREAT! Your post was one of the most viewed last week on the Wonderful Wednesday Blog Hop. You are being featured this week! Congrats. We go live Tuesday evening at 7 ET. Hope to see you there! Love how hearty this looks! 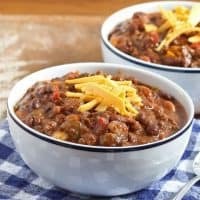 I love a good chili and adding chorizo is brilliant! Pinning it to make it next time I make Chili!